Tamannaah Bhatia as Lucy special appearance in an item number "Jokae"
Mouni Roy as Lucy special appearance in an item number "Gali Gali"
Prashanth Neel's KGF, which stars Yash in the lead, has become arguably the most spoken about Kannada film nationally. The expectations have been enormous. Does the team deliver? Yes, they do. The film has a fast-paced first half, which does seem a little long, but the second half and the climax sets up the right premise for the second part of the film. Adding the extra edge to the film are the cinematography, art direction and the locales. Everything looks top notch and one is often left spellbound at the scenes. Be it the dark dreary world in KGF to the more glitzy nightlife scenes in Bangalore, all of them are shown beautifully. 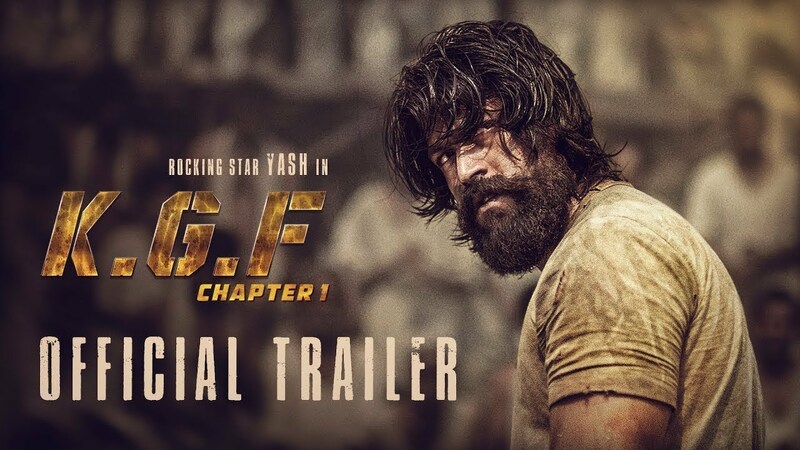 Yash, as Rocky, lives his character to the fullest and his screen presence definitely has the viewers cheering alongside him. The ensemble cast play their respective parts, with each of them playing minor building blocks in setting up Rocky's character.